ST. LOUIS, Mo. 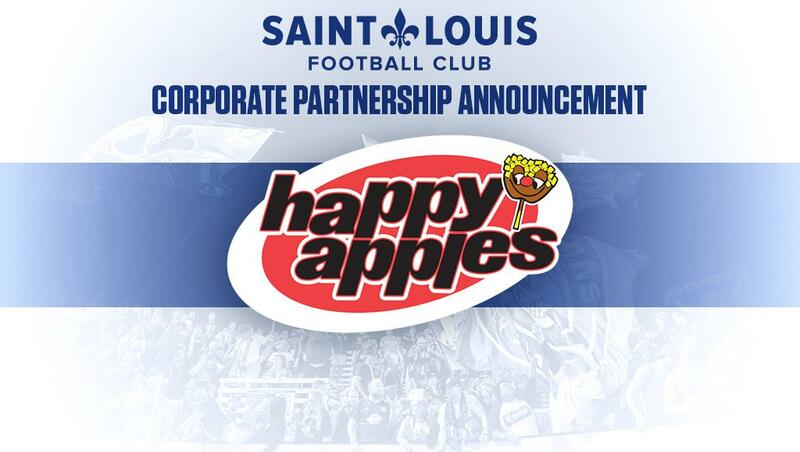 – Saint Louis FC announced a partnership with Happy Apples which will see apples on the World Wide Technology Soccer Park concession menus during the fall of the upcoming 2019 USL Championship season. Happy Apples provides a quality, homegrown product that serves as a healthy alternative to traditional sports venue food items. Happy Apples will be on sale throughout the week during the fall season for youth activities at World Wide Technology Soccer Park as well.